Explore the highlights of Eastern Europe through Munich, Prague & Vienna in 11 Days! Discover the eastern part of the continent, and spend 11 days exploring 7 picturesque and magical countries, on an Eastern Europe coach tour with a difference. For holidaymakers that have limited time, but still want to enjoy a holiday that is packed with a lot of stimulating destinations to visit, look no further. Exploring Eastern Europe in 11 days, this coach tour takes away all the worry of organising an itinerary, leaving the traveller free just to relax and enjoy the experience. The Eastern Europe coach tour is a trip with a difference. 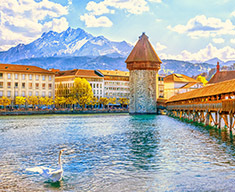 The fairy tale adventure begins in Munich and takes the party through the panoramic countryside to visit the dazzling cities of Prague, Krakow, Budapest, Ljubljana, Vienna and Salzburg. Expat Explore offers excellent budget accommodation in mostly 3-star hotels. During the tour, travellers will stay in twin rooms or have an option to pay an additional supplement for a single room. Included in the tour is breakfast every morning as well as five dinners. All hotels have free Wi-Fi. Included in the trip are ten 'Experiences,' which comprise of guided walks and regional driving excursions. The tour leader will always be on hand with tips and advice throughout the 11 days, when you will visit seven countries. Optional excursions are also available at selected locations, which can be booked as extras. After meeting up in Munich, day two and three are spent in historic Prague, which is a fascinating city rich in art, and architecture and home to some of Europe's finest beer. Next, is Krakow, the ex-royal capital of Poland, for day four and five. The beautiful and mysterious Budapest is the stopover for days six and seven, where visitors can sample the local cuisine and enjoy glorious views of the river, and the city from the Fisherman's Bastion. There are only a small number of attractions in the world that have as much historical splendour as Vienna. This is where the coach party spends day eight of the tour, before moving on to Ljubljana, and ending back in Munich. Welcome to Munich! The first day of the tour is our arrivals day. Meet your fellow travellers, and depending on what time you arrive, head into Munich and see the sights on an orientation tour. A city that exhibits both prosperity and a certain amount of comfort and cosiness, Munich’s apparent contradictions will delight the avid explorer. Along with modern high-powered industry, designer shopping districts and sleek BMWs, you’ll find a wealth of cultural hotspots in Munich. Even with all its smart sophistication, Munich has a certain charm that visitors find irresistible. 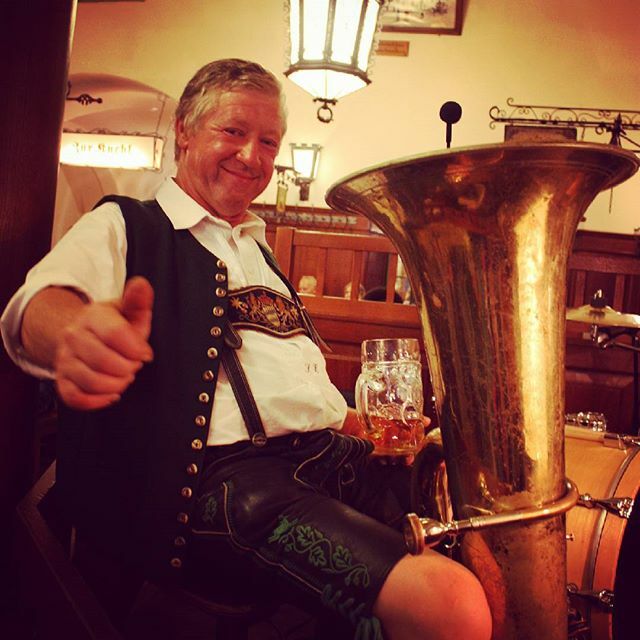 Tonight, we’ll take you to a traditional German beer hall to get a taste of German culture. Prost! 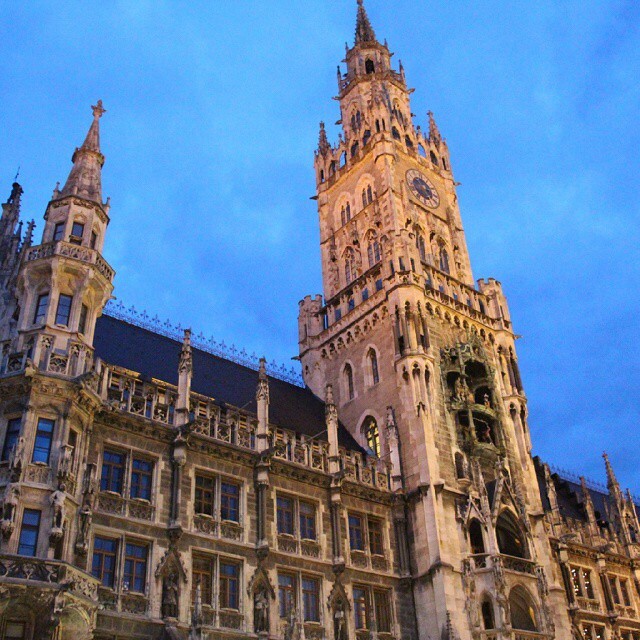 Munich orientation tour: your tour leader will take you on an orientation of Munich to get you acquainted with this wonderful German city. German Beer Hall: tonight we’ll take you to a traditional German Beer Hall. 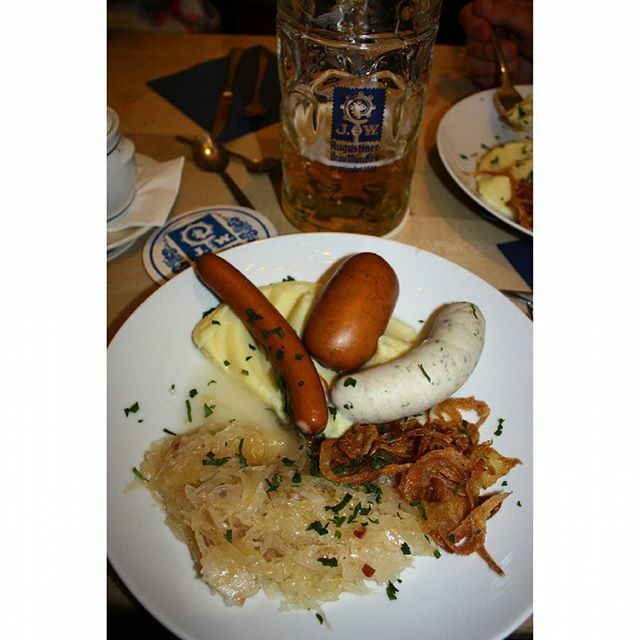 Sample German beer, along with traditional German cuisine. Prost! 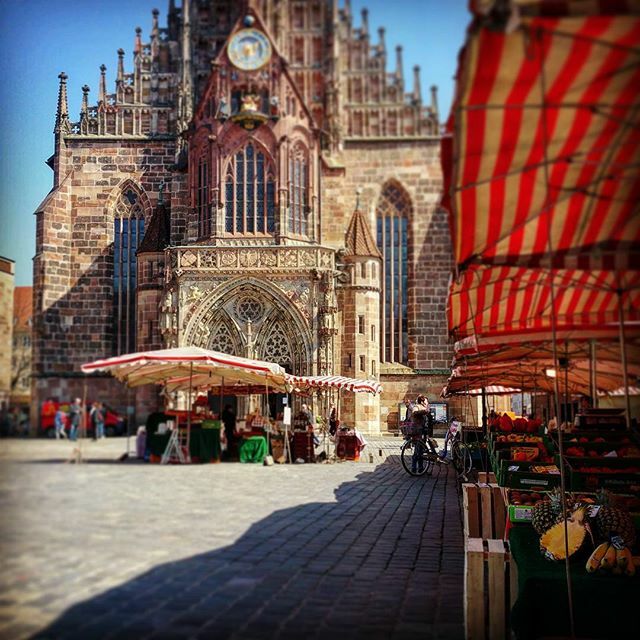 On our way to Prague, we take a comfort stop in Nuremberg. Bavaria’s second-largest city, you’ll find incredible architecture here, painstakingly restored using original stone after the bombings of the Second World War. Famous for its art, architecture, cobbled lanes and ancient chapels, this is also home to some of Europe’s finest beer. Prague is a beautiful city, boasting elaborate baroque, gothic, art nouveau and cubist architecture, and rewarding those who explore it with quirky bars, cobbled lanes and courtyards. Known for its brilliant beer and abundance of art, any exploration of Prague will be a rewarding one. After getting your bearings on a walking tour of the city with a local guide, experience authentic Czech cuisine at our local restaurant for dinner on your first night in Prague. 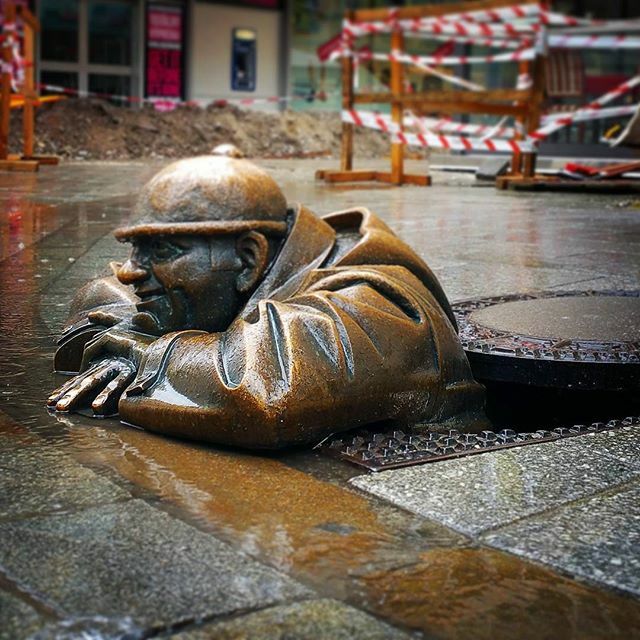 Local guided walking tour of the capital city of the Czech Republic. See the Old Town Square, Wenceslas Square, St. Vitus Cathedral, Petrin Tower (Mini Eiffel Tower), Charles Bridge, Church of Our Lady before Týn, and a view of Prague Castle. Prague dinner. Experience authentic Czech cuisine at our local restaurant on your first night in Prague. You will also have the option to try some famous Czech Beer! The day is yours to treat yourself to the fairy tale magic of Prague and maybe revisit some of the places you saw yesterday. See the majestic Prague Castle, the famous Charles Bridge, the ‘Old Town’ and the Jewish Quarter. There is also a ‘Secret Garden’, which leads to a man-made grotto - see if you can find it! 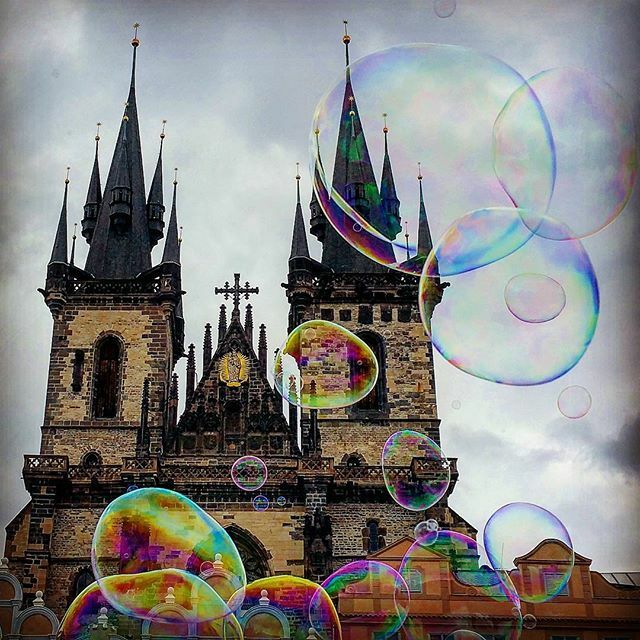 Prague's dramatic history is reflected in the beauty of the architecture of churches, opera houses, concert halls and parks. There are numerous beer halls in which to sample a local brew, and for those who wish to put your stamp on the city, visit the Lennon wall - a tribute to John Lennon and words of peace, which is added to on a daily basis by the thousands of visitors to the city. It is also worth noting that Prague is the home of absinthe. Some say that Vincent Van Gogh’s love affair with this drink is considered to be the most famed in history and a possible cause of his madness. Leaving Prague behind us, we continue on to Krakow. The royal capital of Poland for centuries, Krakow today is home to some of Europe’s most impressive Gothic and Renaissance architecture – and over 2.3 million artworks to complement its historic buildings and monuments. But before taking a walking tour of this treasure-trove of a city, we take a look at a darker time in Krakow’s history, with a tour of the Auschwitz concentration camp. Originally constructed to hold Polish political prisoners in 1940, it went on to become a major site of the Nazi extermination of Jews transported to the camp from all over German occupied Europe. At least 1.1 million prisoners died at Auschwitz, which is now a museum that gives a horrific reminder of the holocaust. Krakow is a real gem, having been the royal capital of Poland for some 500 years. We take a walking tour of the city and take in some of Europe’s most impressive Gothic and Renaissance architecture. We also take a tour to the Auschwitz Concentration Camp, a sobering reminder of a darker time in Krakow’s past. The day is yours to explore the city further if you wish. The renaissance cloth hall in the main market square, the Old Town, Kazimierz and the Wawel Castle, or maybe sample the local cuisine such as Zurek, a very traditional Polish soup with a distinctive sour taste that is dished up in a special hollowed out loaf of bread. There is also the option of taking an optional excursion to the Krakow Salt Mine. Listed as a UNESCO World Heritage Site, the mine dates back to the Middle Ages and is a fascinating look at the area’s history. Descending underground, you’ll walk through 2km of tunnels, chapels, reliefs and freestanding sculptures carved from salt rock walls; along with underground lakes and archaeological displays. Alternatively, explore Krakow even further. On our way to Budapest, we stop briefly in Banska Bystrica in Slovakia, a picturesque town with beautiful buildings dating back to the late Middle Ages. Then we’re off to Budapest, the Hungarian capital. Blessed with natural beauty (it straddles the Danube River) as well as baroque, neoclassical and art nouveau architecture, this is a city to behold. Get a good overview of it all with our Budapest driving tour when you arrive. Starting on the Pest side of the Danube, head across the river and stop at the Fisherman’s Bastion for spectacular views of the city and the river below. See the Houses of Parliament and drive along the river admiring the city – take note of spots to revisit tomorrow on your free day. Tonight’s meal is at a local restaurant, so savour the chance to try some of the local cuisine! Enjoy a comfort stop in Banska Bystrica in Slovakia. On arrival in Budapest we’ll take a driving tour of this picturesque city. With traces of the past evident in the interesting and unusual details, this is your chance to get up close and personal with Budapest. Look out for remnants of the conflicts of WWII and the uprising of 1956, try Hungarian cuisine (so much more to it than just goulash), sample world-renowned wines, and soak your weary rambler’s bones in one of the city’s bath-houses – something Budapest has been known for since the Roman times, with some 123 thermal and 400 mineral springs from 14 different sources. Some of the most popular ones are Szechenyi Medicinal Bath. We leave Budapest and head for the grandeur of Vienna, stopping for a comfort stop in Bratislava. 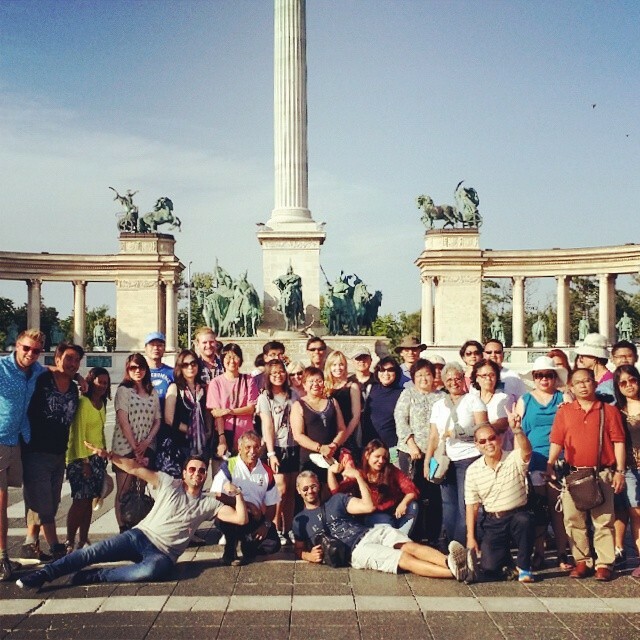 Your tour leader will take you on an orientation tour to see some of the main sights, including a photostop at Bratislava Castle, which overlooks the city. On arrival in Vienna, we’ll take a driving tour. Few cities can show off such cultural and historical splendour and maintain a profile as an exciting, modern city, but Vienna does it well. 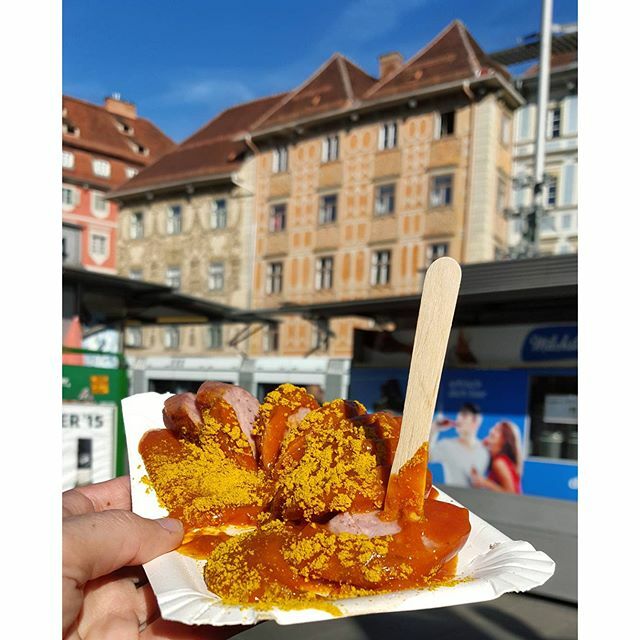 Along with a musical past that includes luminaries like Mozart and Beethoven, Vienna has a buzzing modern culinary scene, cheerful, bustling pubs and bars, and a host of clubs and music venues in which to dance the night away. After the driving tour we'll enjoy an included dinner, before some free time to explore further. Bratislava comfort stop. Enjoy time to explore the capital of Slovakia. 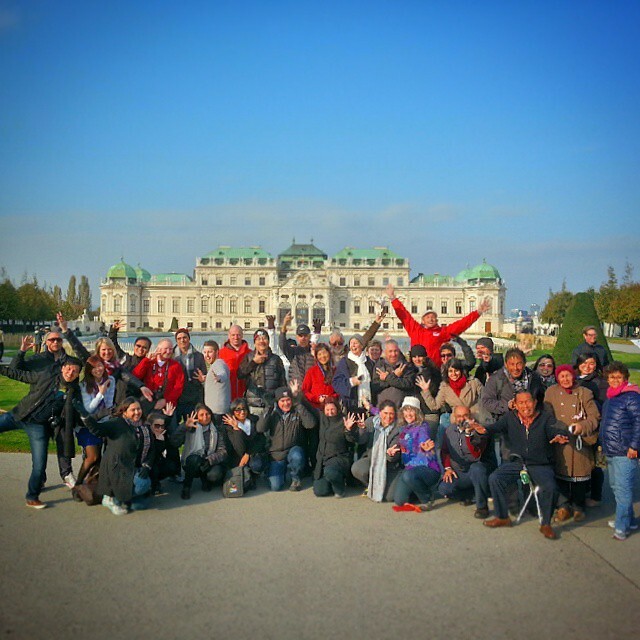 Your tour leader will take you on an orientation tour to see some of the main sights, including a photostop at Bratislava Castle, which overlooks the city. Take in the splendour of Vienna with a driving tour of the city. Vienna ranks as one of the most liveable cities in the world, and manages to display its historical treasures just as well as its contemporary ones. Leaving Vienna behind, we head for the grandeur of Ljubljana, taking a comfort stop in the beautiful city of Graz. 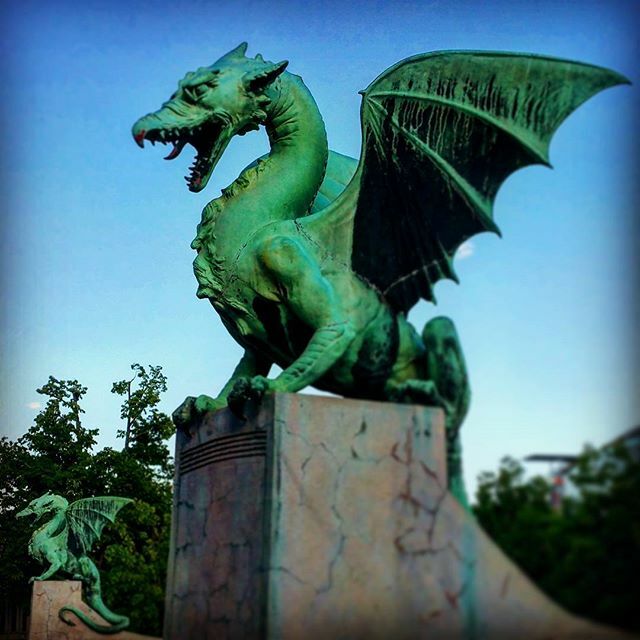 On arrival in Ljubljana, we’ll have a walking tour of this little gem of a city. Despite its small size, you’re sure to be entranced by the beauty of this city, which features a wealth of cultures, activities and sights. Ljubljana Castle overlooks the city, and dates back to the 16th Century. Tonight, explore a little more and take advantage of the fact that pretty much everything is just a short stroll away! 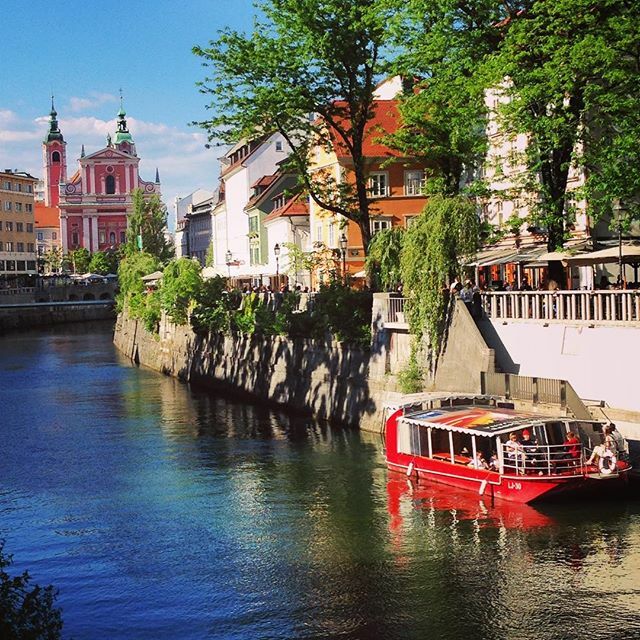 Enjoy a walking tour of Slovenia’s gorgeous capital, Ljubljana. Leaving Ljubljana behind, we stop off in picture-perfect Salzburg. Featuring gorgeous architecture, a formidable cliff-top fortress and imposing cliffs in the distance, you could be forgiven for thinking that you were in a fairy-tale. This was also Mozart’s home-town – see if a little of the genius rubs off! Shortly afterwards we press on for Munich. The evening is free for you to spend as you wish. Relax in your hotel, go for dinner in a local restaurant, or even visit another beer hall with your new-found friends on the tour as a reminder of your first day. Enjoy a comfort stop in the Austrian city of Salzburg. Our Eastern European adventure concludes after breakfast. We hope you've loved every minute of your Eastern Highlights tour, and we wish you a safe onward journey! If you would like to extend your stay in Munich after the tour, please contact us to confirm the hotel. By this point you will have enjoyed 11 incredible days exploring the very best of this region! The Wieliczka Salt Mine was inscribed onto the First UNESCO World Natural and Cultural Heritage List in 1978. Every year it is visited by over one million tourists. It reaches a depth of 327 meters and the mine's passage is almost 300 km long! The Salt Mine continuously produced table salt from the 13th century until 2007, being one of the world's oldest operating salt mines and is one of the must see attractions of Krakow. Included in the half day tour is return transport from the hotel, entrances fees and the services of a local guide in the salt mines. *Please note there are over 700 steps to descend (with an elevator to bring you back up!). Participants are advised to wear comfortable shoes. Enjoy a panoramic evening cruise along the Danube, with great views of the Hungarian Parliament, Buda Castle Hill, Fisherman’s Bastion, the Chain Bridge and many more of the city's great sights. With an included drink in hand (choice of champagne, wine, beer, soft drinks, mineral water) you'll experience the iconic city of Budapest come alive at night from the river. Please refer to the tour itinerary above for full details of what activities are included, which meals are included and what is excluded. 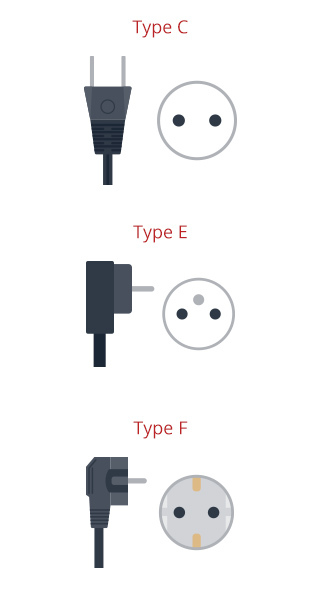 We would recommend budgeting €25-€40 per day (this excludes optional excursions)..
Socket C requires plug type C. Socket E is compatible with plug types C, E and F. Socket F is compatible with plug types C, E and F.
A travel adapter for plug type C will allow you to use all socket types encountered on this tour. Your tour starts and finishes in Munich. Please have a look at our essential tour information page for detailed information. What time do the tours depart and when will I be back? Our regional tours are usually scheduled to start in the afternoon on Day 1 and end on the final day after breakfast - please refer to your meeting information for confirmation.